Rick Rock Guitar Picks have been reduced in price! Check out this fantastic new tie! Perfect for jazz and blues concerts. *All prices are suggested retail and subject to change. Please refer here for our dealer discount policy. 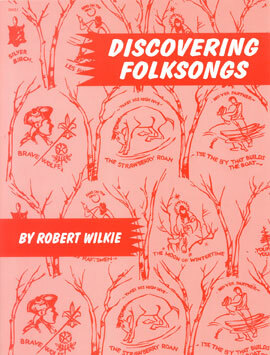 Discovering Folksongs is an excellent example of our wonderful musical heritage. Students of all ages will find the stories and tales found in the songs of great interest, and the melodies, which have been honed by time, will stay with them forever. The table of contents includes the form, toneset and key for each song to assist in choosing songs to fit a pedagogical purpose. Grade levels are included with the song and are intended as guidelines only. The songs are presented in a simple easy-to-read format with very few markings to provide an uncluttered view of the piece. Full piano/vocal versions of these songs, plus many more can be found in the well-known two volume series Folk Songs of Canada by Edith Fowke and Richard Johnson.